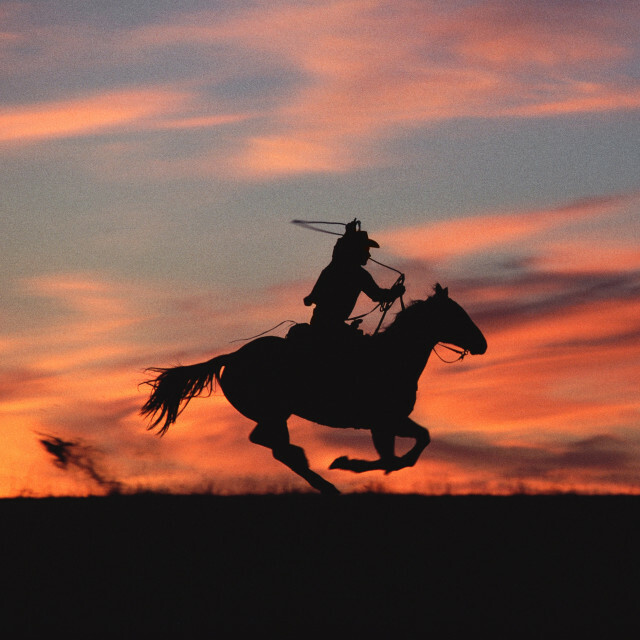 M+B Photo is pleased to present Titled (Cowboy), a survey of the American West by photographer Norm Clasen. The exhibition will feature images taken during the artist's decades working as a freelance commercial photographer and explore the later controversy over his works' appropriation by artist Richard Prince. Norm Clasen: Titled (Cowboy) runs from March 3 to April 21, with an opening reception for the artist on Saturday, March 3 from 6 to 8 pm at the M+B Photo exhibition space located at 1050 North Cahuenga Boulevard in Hollywood. The exhibition coincides with the show Richard Prince: Untitled (Cowboy) on view at the Los Angeles County Museum of Art. Norm Clasen (b. 1939) was born and raised in Southern California. An avid outdoorsman from an early age, Clasen's passion for photography grew from his love of the natural world. After attending the University of Colorado, Norm moved to Aspen in 1962, where he founded and ran an independent advertising agency. In 1978, a series of coincidences led to Clasen being invited to shoot on numerous occasion over thirteen years for Marlboro. The campaign was a natural fit, drawing on his intrinsic understanding of horses and the cowboy way of life. Clasen's photographs helped shape a visual lexicon that is integral to the iconography of the American West. To capture his iconic images of cowboys in their element, Clasen ate, drank, and rode with the men, earning their respect and trust. His authentic and natural point of view guided our cultural perspective of the 'cowboy' to its zenith, with his work appearing in newspapers, magazines, and billboards across the world. Between 1980 and 1992, the contemporary artist Richard Prince appropriated Clasen's and other's images for his series Untitled (Cowboy), re-photographing, cropping, and enlarging them to sell as artworks of his own. These re-photographs gained Prince both critical and financial success. One such image went on to sell for $3.75 million at auction in 2014. In his own words Prince states, "I had limited technical skills regarding the camera. Actually I had no skills. I played the camera. I used a cheap commercial lab to blow up the pictures. I made editions of two. I never went into a darkroom." Norm Clasen: Titled (Cowboy) offers the public the first chance to see these authentic images as envisioned by their original author, offering a special opportunity to engage in dialogue and contemplation about appropriation, fair use, moral rights, and authorship in the art community. Norm Clasen will be contributing a portion of the profits from this show to the APA, (American Photographic Artists) for their copyright defense fund to "help defray legal costs for photographers everywhere who have been affected by artistic piracy." For more info, please contact John T.D. Murphy at M+B Photo at (323) 745-0145 or john@mbphoto.com.